It may look like an ordinary sedan, but the Volvo S60 Polestar Engineered is automotive unobtainium. A performance-tuned plug-in hybrid version of the 2019 Volvo S60, the Polestar Engineered was offered in limited quantities through the Care By Volvo subscription service — and sold out almost immediately. 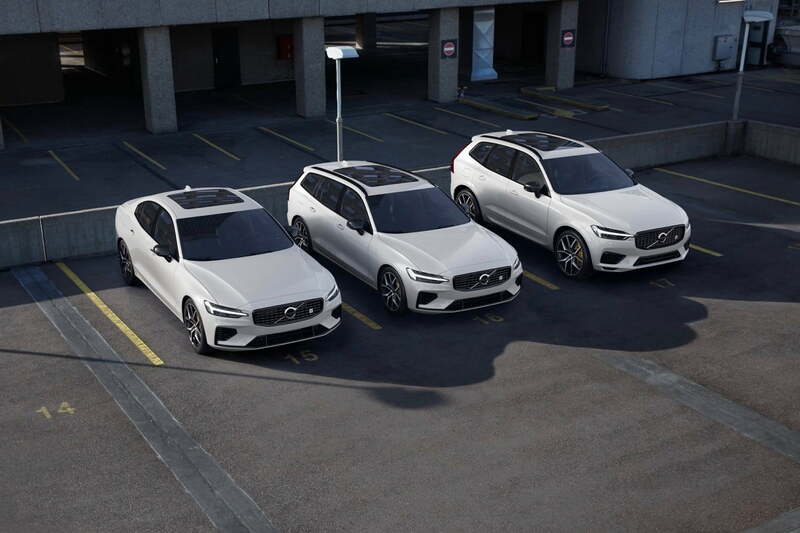 For those who missed out on the S60 Polestar Engineered, Volvo will now offer the same package of upgrades on the V60 wagon and XC60 crossover. The new models roll out this summer. The V60 Polestar Engineered and XC60 Polestar Engineered use the same powertrain as the S60 version, which itself is an evolution of Volvo’s T8 “Twin Engine” plug-in hybrid powertrain. A 2.0-liter four-cylinder engine — sporting a turbocharger and a supercharger — works with an electric motor. The gasoline engine drives the front wheels, and the electric motor drives the rear wheels. The result is 415 horsepower and 494 pound-feet of torque. Other upgrades mirror the S60 Polestar Engineered as well. The V60 and XC60 get gold-painted six-piston brakes calipers, suspension upgrades from fellow Swedish firm Öhlins, model-specific wheels, and subtle exterior styling changes. On the inside, the cars get charcoal upholstery and gold seat belts, to match those brake calipers. Polestar started out as an independent company focused on tuning and racing Volvos, until the automaker bought it outright. Volvo initially tasked Polestar with building performance versions of its regular production models, making it a Swedish equivalent of Mercedes-AMG or BMW M. Volvo is now spinning Polestar off into its own brand focused on electrified cars, starting with the Polestar 1 plug-in hybrid coupe, followed by the Polestar 2 electric car. A Polestar 3 is expected in 2021, also with an all-electric powertrain. It makes sense for Volvo to give the V60 and XC60 the Polestar Engineered treatment. They share the same Scalable Product Architecture (SPA) platform as the S60. So while the three cars may have different body styles, the underlying engineering is largely the same. But will Volvo make the new models easier to get? Volvo said the V60 Polestar Engineered and XC60 Polestar Engineered will arrive this summer as 2020 models, but didn’t offer any details on pricing or availability. The S60 Polestar Engineered was available only through the Care By Volvo subscription service, and just 20 cars were brought to the United States. Those cars sold out in 39 minutes, Volvo said at the time of the launch. At the least, drivers who missed out on the S60 will have another chance to nab a Polestar Engineered car soon.